It’s been in recent years that people’s perception and understanding of currency evolved from a seemingly common piece of paper that people held in their hands to a completely new digital medium that has left many dazzled and confused while at the same time enriching those who felt the potential. 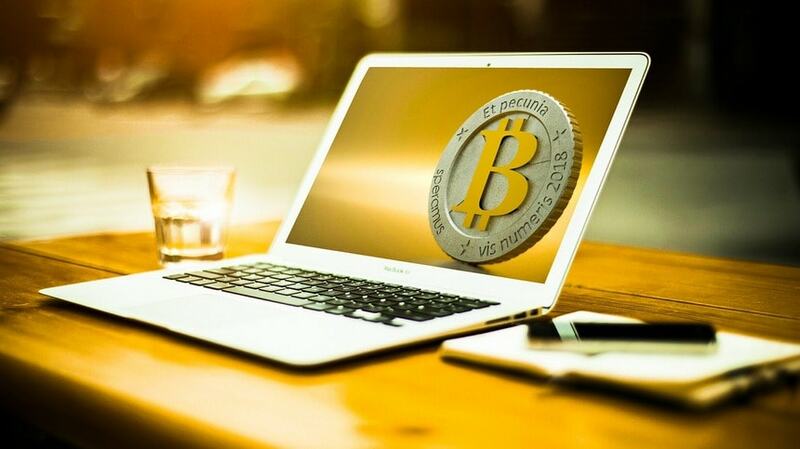 While rumors of cryptocurrencies had been circulating wildly through the internet over the course of last decade, in was not until the mid-2009 that the popularization of idea of storing value digitally came to the surface. It’s hard not to agree that the understanding of the whole process and technology behind it is too much to digest in one go and requires a good understanding of tech language, but one can hardly ignore the fact that recent performance of Bitcoin and Ethereum to name a few has enlightened the global community with incontestable evidence of crytocurrencies’ potential. Having recently hit the headlines with failure to break $20,000 mark, news of Bitcoin price decline triggered overwhelming hysteria and panic on the market, leaving many investors uncertain as to whether it hits next rally in 2018. You are probable still wondering what could have caused recent price drop, but just think on the bright: if you had invested just $1000 in Bitcoin the year it was first publicly available – you would by now have amassed an extraordinary fortune of $40 million. As commonly happens with any overpriced asset, the price of Bitcoin just seems to have reached a strong level of psychological resistance, which by bad chance had coincided with negative fundamental background. Although it’s often referred to as new, Bitcoin has existed since 2009 and the technology it is built on has roots going back even further. It has been many years that business and merchants offered virtual currency to their customers, providing them with tokens representing the fiat currency. Being fully redeemable, those virtual tokens were effectively used as digital exchange medium for making purchases and money transfers. The experimentation with the use of digital cash and virtual currency started in the early 1980s, when first ideas to digitize cash started to circulate in tech circles. American Cryptographer David Chaum pioneered the first form of internet money in the form of DigiCash in 1989. As one of the first electronic money services, DigiCash added a substantial degree of speed and security to all transactions by utilizing cryptographic protocols developed by Chaum. Revolutionary technology and truly interesting product it offered quickly came to notice by leading media. At one point even Microsoft took interest in the technology, offering a profitable deal to have DigiCash software installed on every Windows-based PC. However, due to some mistakes and probably inefficient business planning the company went bankrupt in 1998, effectively “handing the baton” to PayPal which emerged as clear winner by grasping what end users were really striving to get – a payment system available from web browser. Having taken the lead, PayPal became an ultimate platform of digital web transactions and thus a source of inspiration for others. The global financial meltdown of 2008 laid the foundations for the emergence of new exchange medium by revealing the inherent vulnerability of the global financial system. It showed the repercussions of callous behavior conducted by global financial elite and further highlighted how insecure the system was. The economic recession followed suit and saw many individuals having their homes enclosed and investments wiped out. The incident saw the emergence of anonymous by the name of Satoshi Nakamoto ( is still unclear whether it was an individual or a coordinated group as the identity is unconfirmed as of writing these words ) who released concepts of blockchain technology in 2009. At the same time, he introduced the world’s first cryptocurrency – Bitcoin. Bitcoin laid the foundations of financial freedom concepts, as it was the first currency independent from central bank authority and thus much less vulnerable to devaluation. Now, almost 10 years ahead Bitcoin has confidently surged against all major currencies with total market capitalization of 200$ billion. Many companies and payment systems around the world are accepting bitcoins as form of payment while several countries have successfully passed the legislation to regulate bitcoin within its taxation framework. Following the rapid rise of Bitcoin and blockchain in 2009, a number of other cryptocurrencies were developed. Ethereum, Zcash, Litecoin are just few examples. Ethereum, for example was the best performer of 2017, having reached a staggering 5400% increase against the USD. It sounds too good to be true but a tiny investment of $10 at the beginning of 2017 would have gained you a small fortune of $54,000. With more and more people putting funds into cryptocurrencies, there is big hope that more winners will emerge on global cryptocurrency market in 2018 and thus create profitable opportunities for traders and exchanges alike.